Leading Manufacturer of metal slitting saws, precision slitting saws and screw slotting cutter from Rajkot. 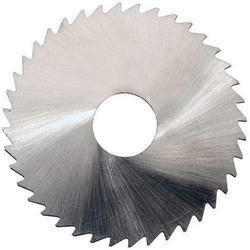 Pioneer in the industry, we are engaged in offering an impeccable range of Metal Slitting Saws. Only premium quality metal is used while manufacturing the provided range, for increased accordance with set industry standards of quality. 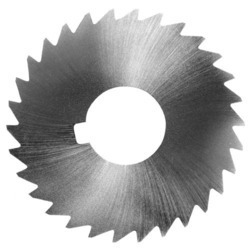 The offered saws are used for general slotting or cut-off operations. These saws are widely appreciated among our clients for their durability, excellent finish, easy installation and minimum maintenance. 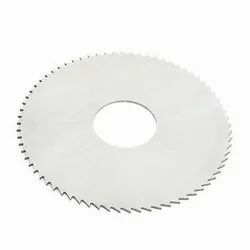 These saws are offered in numerous specifications to meet the needs of our clients. We are the manufactarer of Precision Slitting Saws. These are extensively used in varied industries. We are one of the largest Manufacturer of Screw Slotting Cutter focusing upon quality and timely delivery to achive customer delight.